– Albert Einstein; mathematician and scientist; had dyslexia. Lemon Tree was founded in 2007 by Maria Saravanos, a licensed and certified speech-language therapist whose passion and purpose are to help children embrace and overcome their learning differences. 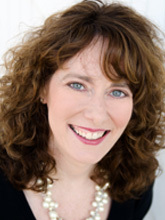 Maria received her Master’s degree in Communication Sciences and Disorders from the University of Florida in 1998. At the University of Florida she received intensive training in diagnosing and treating language-based reading disabilities at the University’s Reading Clinic, under the guidance and supervision of her mentor and “guardian angel,” Dr. Linda Lombardino Ph.D., CCC-SLP. During her graduate career, Maria’s passion for learning differences was unearthed as she too had experienced chronic frustration and disappointment with learning as a child. Maria made it her mission to build awareness, educate, and advocate for children with learning differences. 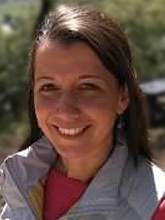 After graduating from the University of Florida, Maria worked as a speech therapist in a variety of settings including pediatric outpatient therapy, private practice, preschools, elementary and middle schools, as well as home-based settings, while always having a special place in her heart for students with language-based learning differences. Living with an unidentified learning disability enabled Maria to develop an undeniable understanding and compassion for children who learn differently. Her inherent understanding of different learning styles coupled with her specialized training enabled her to devise teaching strategies that unlocked educational potential, her favorites including: Code Busters and Writing S.O.S. Maria encourages her students to embrace their learning differences openly and confidently, and trust that one day their learning difference will become their greatest gift! She loves to foster & stimulate a strong emotional intelligence for her students as she is a strong believer in self-talk and self-advocacy skills - the most instrumental & beneficial lifelines for adversity. Maria is trained in Orton-Gillingham Intervention, Lindamood Bells LIPS, Seeing Stars, and Visualizing and Verbalizing Programs, Van Riper’s Stuttering Modification Therapy and the Lidcombe Fluency Program, Hodson’s Cycles Phonological Approach, Kauffman, and Beckman Oral Motor Exercises and is a member of the International Dyslexia Association, where she attends conferences on an annual basis. Outside of work, Maria is blessed with her best friend in life, her husband, and her beloved dog, Lucy, who has become an instrumental "pet partner" at Lemon Tree! In her spare time, Maria loves to spend time outdoors enjoying anything related to nature, in particular, camping, hiking, kayaking, and sunsets. Maria also adores spending time with her family whom all live locally. Some of her favorite down-time is spent frolicking and playing with her nieces and nephews. Courtney has worked as a Speech Language Pathologist since graduating from Southern Illinois University at Carbondale in 1997. She started her career working with school-aged children in the Pinellas County School District. Courtney worked in the public school system for 15 years. While working in the public school setting, Courtney developed her love and passion for literature-based language therapy. This passion ultimately led her to Lemon Tree where she specializes in maximizing all aspects of language through literacy in Text Forensics Class. Forensics uses a research based program developed by Mindwing Concepts called Braidy the Story Braid and Story Grammar Marker. These programs emphasize oral retell, story comprehension, language processing and written expression. Courtney loves to witness her students use this framework to achieve communication success in all environments. She enjoys teaching parents how to use these strategies to maximize academic success in school and functional communication skills in the home. Courtney also enjoys working with the pre-school population where she treats students exhibiting phonological disorders and expressive language delays. She uses song, play, vocabulary and pre-literacy materials to increase receptive and expressive communication skills. Courtney believes in a literacy based approach to therapy coupled with strong home programming. Courtney is trained in Story Grammar Marker, Braidy the Story Braid, Beckman Oral Motor Exercises, Char Boshart Oral Motor Therapy, Hodson’s Cycles Phonological Approach, LINCS vocabulary, Expanding Expression Toolkit, Kauffman, the Lidcombe Fluency Therapy Program and Lindamood Bells LIPS and Visualizing and Verbalizing. Courtney’s sunny, warm and infectious energetic personality makes our children feel as they are the brightest and most important part of her day. She is so excited by her student’s progress and is never shy to show her enthusiasm and pride! Courtney’s energy and animated personality allow her to connect with children in a truly exceptional way! Courtney is a true asset and joy to Lemon Tree. Outside of work, Courtney is blessed with a wonderful husband, three fabulous children and two rascally dogs. She loves to spend time with her family and friends, scrapbook and shop during her spare time. 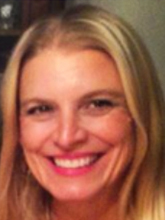 Meg has worked as a Speech Language Pathologist since graduating from Nova Southeastern University in 1994. She started her career at All Children’s Hospital where she gained a wealth of knowledge & experience treating children with a diverse array of communication disorders including developmental delay, articulation & language disorders, literacy-based language disorders, fluency disorders, & Autism Spectrum Disorders. Meg was also a team member of All Children’s Cleft Palate Team, Early Intervention Team, and Growth & Development Team. It was at All Children’s that Meg met Maria 16 years ago! Meg was transitioning from outpatient to inpatient care within the hospital, and as fate would have it, Maria was filling Meg’s outpatient position & taking over her caseload of students. Let’s just say, Maria had her work cut out for her as Meg had enormous shoes to fill! Maria was forever impacted & touched not only by Meg’s passion for her students with language-based learning needs, but also by the permanent mark “Ms.Meg” had left on her students’ hearts. It was clear to Maria & all who witnessed Meg in action that her profession was a calling & she was fulfilling a God-given purpose. It’s no wonder it has been Maria’s dream to have Meg join the Lemon Tree family! In the following years, being an extremely devoted & present mother to her two young children, Meg made certain her career followed the path of her children’s educational journey. Meg worked as both a teacher & a speech therapist at Palma Ceia Presbyterian Preschool, later at St. John’s Episcopal Day School, and finally, in 2008, Trinity School for Children, a charter school in Hillsborough County where Meg continues to work full-time as the school’s speech therapist. Meg is responsible for identifying & treating students with speech & language impairments in grades K-8 and is part of a dynamic response to intervention team (which she played an integral role in developing). This puts Meg directly into the classroom where she observes her students in their natural setting and identifies exact areas of breakdown where she intervenes accordingly. Working closely with teachers, Meg aligns her therapy goals directly to curriculum-based needs. Some of Meg’s proudest accomplishments include creating a specialty study group for her middle-school students targeting study & test-taking skills. Additionally, Meg has created a social skills group that takes place during lunch period called “Lunch Bunch” where her students have the opportunity to put into practice appropriate social exchanges during a naturally occurring social situation with their peers. Through her unique experiences as a teacher and speech therapist, Meg has developed a deep, undeniable love and passion for children with language-based learning needs. This desire has led her to Lemon Tree, where she can specialize in her passion on a deeper level, in particular, our language & literacy classes, our study skills & test prep class, & our social links class. We are so thrilled and blessed to have Meg join our team as her experience, skill set, and heart are a true asset to our students and families! Meg’s larger than life personality, in combination with her incredible work ethic & passion for her calling, make her the creme de la creme of therapists! Meg develops beautiful, lasting connections with her students built on mutual respect & trust. Before her students know it, they are pouring their hearts and souls into their work because Meg is pouring her heart and soul into her work.